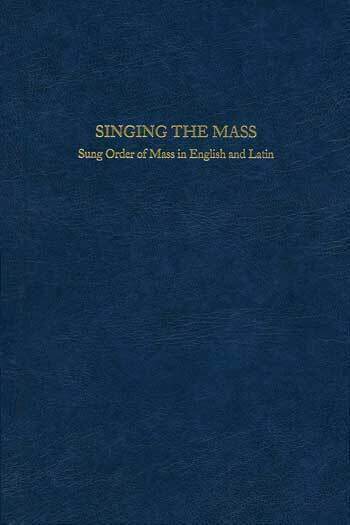 Lead your assembly in song with complete dialogues and acclamations, this book presents English and Latin on facing pages for all of the chants of the Order of Mass. Featuring texts that reflect the new English translation of the Roman Missal, Third Edition, this beautifully bound book—published by the monks of the Abbaye Saint-Perre de Solesmes in France—presents English and Latin on facing pages for all of the chants of the Order of Mass. Plus, lead your assembly in song with complete dialogues and acclamations in which the people are called to participate. Offering both solemn and simple tones in the Gregorian chant style, Singing the Mass also contains a shorter Kyriale with nine complete settings in Greek/Latin, chants in English and Latin for the Sprinkling Rite, as well as alternate settings of the Lord's Prayer—including well-known settings in the U.S. (Snow), U.K. (Rimsky-Korsakov) and Australia.